GOLFTEC: Chipping Yips? We’ve Got Your Fix. 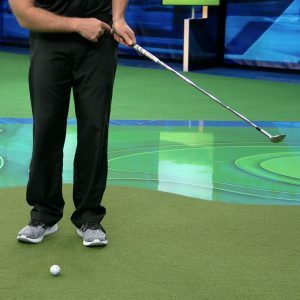 As seen on Golf Channel: Fixing the chipping yips doesn’t take a trip to the doc, just some work with this technique. 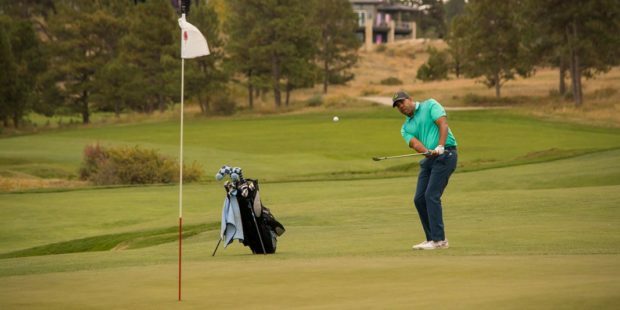 We’ve seen some of the biggest names in golf, even Tiger Woods himself, suffer from the game’s cruelest of ailments: the chipping and pitching yips. It’s a brutal part of the game many golfers face at one time or another. Just like all golf maladies, however, there is a cure! Many speculate the underlying cause of the yips is rooted in one’s brain. But it ultimately comes down to physical execution of the shot, so we’ve got a few chipping and pitching tips that can help you finally change the pattern of those dreadful yips. Golfers with the worst cases of the yips often display one common fault: As they approach impact, the grip end of the club moves well ahead of the club’s leading edge. This can cause the club to get stuck in the ground or vice versa, swing well above it and hit the ball near its equator, which sends it screaming low and out of control over the green. You might have heard this referred to as forward shaft lean. Having too much of it at impact is the technical effect of a yipped chip shot. To hit proficient chips and pitches – shots exhibiting a nice, soft trajectory that spin and roll out consistently – you should use bounce to your advantage and let the clubhead pass ahead of the shaft as you hit the shot. A good way to make that happen is focusing on the grip end of the club remaining close to your body after impact, while letting the clubhead continue to swing through past the handle. Even though we’re saying the chipping yips aren’t terminal, it does take some work to be completely cured if they’re well-engrained into your game. If you stick with these tips, however, it won’t take long before your problem is a thing of the past. So, have faith, stick with it and check out the video below as Nick Clearwater expands on how you can fix your chipping yips for good.